Reading came from behind to beat relegated Rotherham 2-1 and move a step closer towards securing a Sky Bet Championship play-off place. The Millers took a surprise lead midway through the first half when Tom Adeyemi poked home from close range. However, Reading improved after the break and clinched the win with goals from substitute Lewis Grabban and John Swift. The Royals had recovered from the 7-1 mauling at Norwich with a 3-1 victory at Aston Villa on Saturday while Rotherham - relegated on April 1 - ended a 10-match losing streak with a 1-1 home draw against Birmingham on Good Friday. The visitors, with only one point gained on the road this season, made a bright start. Leading scorer Danny Ward, with 12 goals this term, took aim from 20 yards but his effort lacked power and home goalkeeper Ali Al Habsi saved comfortably. Carlton Morris also tried his luck from a similar distance but the attempt was blocked by the retreating defence. Reading offered little going forward, with Jordan Obita blazing wide with an ambitious volley from a Garath McCleary corner. 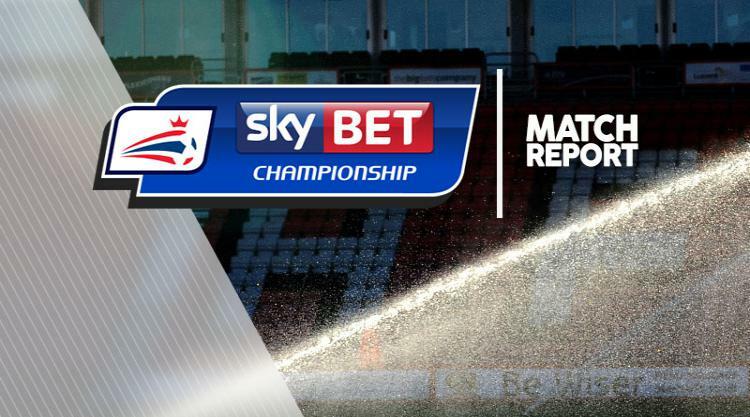 Rotherham continued to impress in attack and deservedly went ahead in the 19th minute. Ward crossed from the left and the unmarked Morris headed straight at Al Habsi - however, the Oman international was unable to hang on to the ball and Adeyemi pounced quickly on the follow-up. Reading at last awoke, with striker Yakou Meite to the fore. After shooting wide, he then forced Rotherham goalkeeper Richard O'Donnell into a good near-post save. O'Donnell did even better soon after, making a sprawling stop to keep out Meite's fierce drive, then tipping over a looping, deceptive cross from the same player. Reading almost equalised in first-half stoppage time - but defender Joe Mattock nodded off the goalline from Liam Moore's far-post effort. Rotherham swiftly adopted defensive mode after the interval, allowing Reading to create chances at will. The pressure on the visitors mounted, with Roy Beerens completely miscuing his shot from a Chris Gunter centre. O'Donnell then saved superbly from a glancing Obita header, from a Beerens cross, and also did well to palm over a Yann Kermorgant header. But Reading finally levelled in the 66th minute after a deep cross from McCleary found Grabban lurking at the back of the Rotherham area. The AFC Bournemouth loanee, on the pitch barely one minute, met the centre with a fierce volley that even the previously unbeatable O'Donnell was powerless to stop. Reading then settled the issue in the 79th minute, after good work by Danny Williams and Gunter, when Swift tapped home his ninth goal of the season from close range.